Hello Beauties! I hope you're all well! It's been a while since I've published a haul over here on Lipgloss & Lashes, mainly because I haven't really been 'hauling' anything. For the past 8 months or so I've been working away on my Dissertation so really I've only been buying things as and when I need them, and I think it's fair to say I haven't really taken the time to really research any products that I may be interested in. However the lovely guys over at HQHair.com asked if I would like to try anything from their site, and as a treat for finishing my Dissertation, it was an offer I just couldn't refuse. 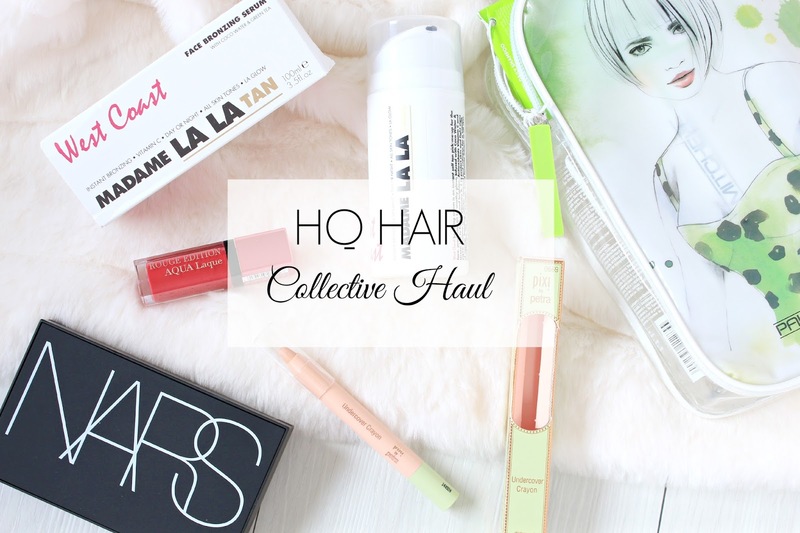 HQHair.com are an online beauty retailer, who stock pretty much anything you could want. They've got some of the top makeup, skincare and haircare brands such as Nars, Glam Glow, Keraste, Bourjois and Real Techniques, just to name a few. Nars Laguna Bronzer has been a favourite of mine since I picked it up last Summer, and with Summer fast approaching, what better time to pick a new one up? Instead of going for the regular bronzing compact, I decided to go for the 'Tahiti Laguna Bronzing Palette' as it comes with slightly more product and a mini Ita brush, something which I've been wanting to try for a while now after spying it on a couple of contouring videos. First off, let me tell you, this bronzer is huge, not that I'm complaining but compared to the usual palette, you really do get quite a lot more. I won't say too much about the products, as I will be putting full reviews up of each of them, but I really do love this and the little brush is just too cute! Pixi by Petra isn't really a brand I've explored much, I have one nail polish which I love and thats about it. 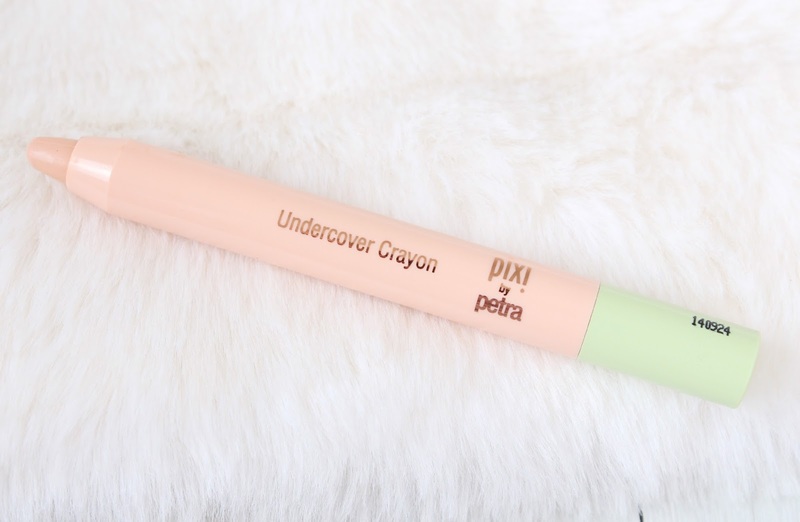 Lately, my dark circles have been out of control, late nights writing and editing my dissertation and endless hours staring at my laptop screen have ruined my eyes, so when I saw that Pixi had released a 'Perk-Up Peach' shade of their Undercover Crayon concealers, it seemed like it was meant to be. The peach shade is supposed to neutralise dark circles and brighten up your eye are, I've tried peach concealers before with great results so I'm expecting great things from this! 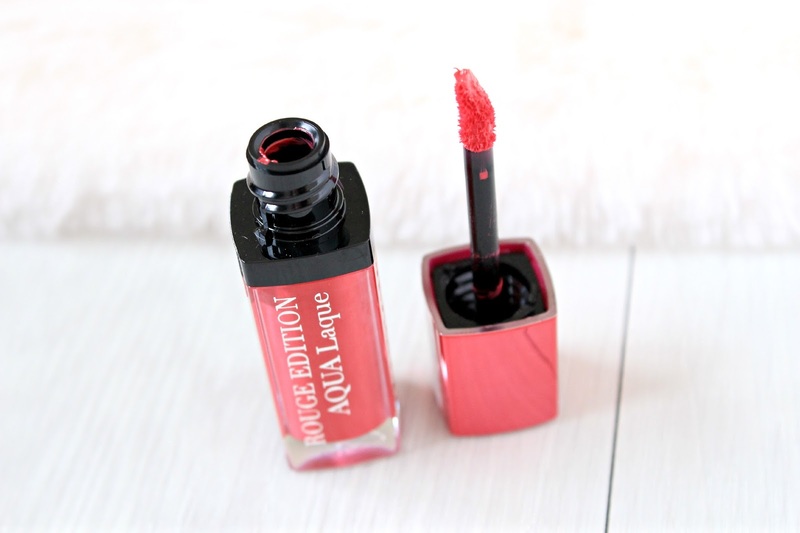 I've seen a lot of hype surrounding the Bourjois Rouge Edition liquid lipsticks for months now, but seeing as the only shades were matte until very recently they just weren't something that interested me. However, now that Bourjois have released glossy versions of their famous liquid lipsticks, it seemed like a good time to give them a go. The colour I picked up is called Fuchsia Perché, which is a gorgeous red shade with a hot pink tone to it, perfect for those of you who want to try red, but don't want to go all out. I can see myself getting a lot of use out of this over the summer months when I want to go for a brighter lip. Fake tanning season is fast approaching for me, I'm one of those unfortunate people who can't get a tan so faking it is the only way to go. However one problem I have is with tanning my face. 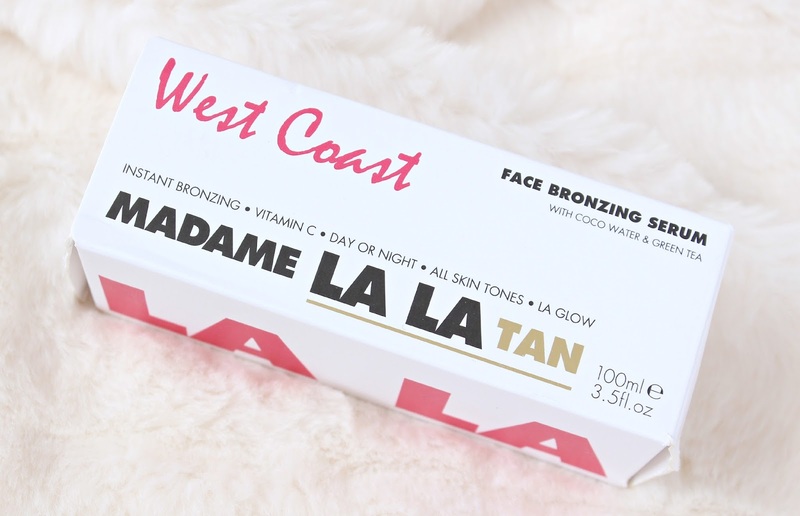 Having sensetive and acne prone skin, I'm always a little wary of putting my regular fake tan on my face, so I decided to pick up the Madame La La Face Bronzing Serum. It's packed with vitamins, antioxidants and loads of skin loving ingredients, meaning that I don't have to worry about putting it on my face - and I can avoid having an orange body and white face! The wiser among you may have noticed that I've recently had a little hair cut, so I thought that now would be a good time to really treat my hair, as I'm trying to keep it super healthy (hence the shorter length). This gift set seems perfect for me as it promises to minimise hair drying time. I have seriously thick hair, and a lot of it, which means it takes me forever to dry my hair, so anything which can help me out with this is warmly welcomed. The gift set contains a three full size products (Super Skinny Daily Shampoo, Super Skinny Daily Treatment and Super Skinny Serum) so you really are getting a bargain here, as if you were to buy all of the items separately it would cost you well over £40. The set also comes in this cute plastic makeup bag which I'm going to be using as my travel toiletries bag and smells amazing - always a bonus! As I mentioned before, I'll be uploading full reviews of all of these products once I've had the chance to test them out properly, so keep your eyes peeled for them! Those bourjois glosses have been on my radar for a while now, I still need to pick one up though! I'm loving your photos in this post Becky - they look beautiful! I have never even heard of this site before but it looks right up my street! Love what you hauled, so jealous! 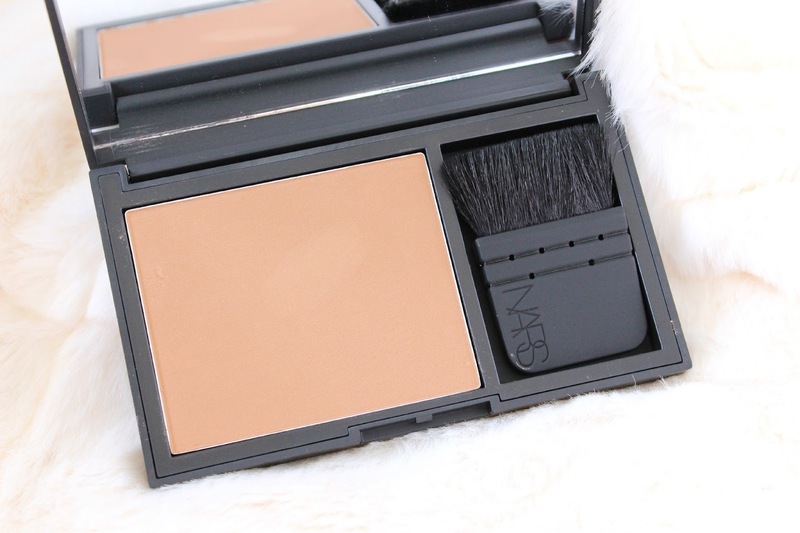 The Nars bronzer is just so dreamy, I've wanted it for ages! It's good to know that they stock pixi as it is a brand I have been wanting to try but find it so hard to get my hands on! I want to try that Nars bronzer! HQ hair have some fab bits to offer. Oooh I never knew they stocked such a fab wide range of products!